This week, New Brunswick’s Finance Minister Ernie Steeves presented the provincial budget, an ideologically conservative document with little to no tangible investments made to improve public services or workers’ wages. This year, federal transfers to New Brunswick were increased so provincial government could invest in people to kick-start our sluggish economy. These transfer payments are usually destined for public sector stimulus in hospitals, schools, nursing homes and more. Yet, Premier Higgs did exactly the opposite, and claimed this money, combined with cuts in multiple departments, as a surplus. 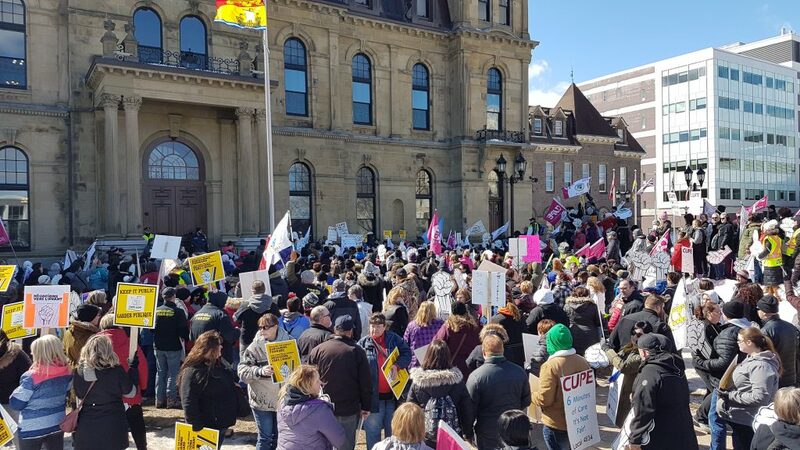 “Not only are they trying to balance the budget on the backs of working people through cuts, they are also taking federal money and passing this off as their achievement,” said Daniel Légère, president of CUPE NB. 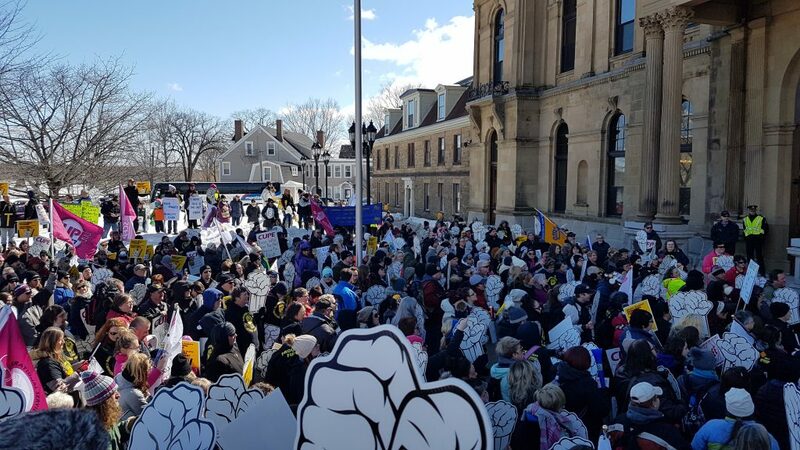 “The 49 million Minister Steeves has allocated for debt payment – which comes from his “surplus” and cuts in capital assets – should have gone to the front-line workers, who need wage increases that go beyond inflation,” said Légère. Similarly to the rest of Canada, more than 80% of New Brunswick’s economy is driven through consumer spending. “This austerity budget lacks vision and drive. It contains a small vision for NB and aims to make us content with our status as last place in Canada for median wages, economic growth, population growth, and so on,” added Légère. CUPE NB also questions the 19 million dollars allocated to the 49 MLAs for “discretionary spending” in their ridings. “These resources should go to maintain and improve our services who are already cut to the bone,” said Légère. 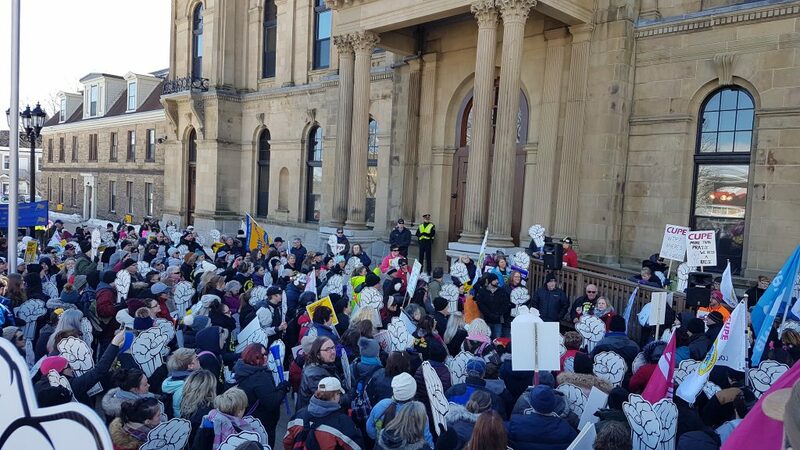 Public services in NB are in a crisis. We only have to look at the challenges our nursoing homes are facing. There is no room to cut jobs and not to fill vacant positions and allow positions to go vacant through attrition is simply not fair to New Brunswickers. Despite the bad news, CUPE members’ actions have had direct results on the budget. “Minister Steeves produced a contradictory document, where on one hand, he recognizes workers’ need for better wages, but on the other hand, he is blaming the public sector of “suffocating our economy”, which is an irresponsible and patently false accusation. Their old and tired accusations are not sticking anymore. They don’t know how to deal with the rising tide of mobilization from all segments of the population. Our voice will be heard,” concluded Légère.